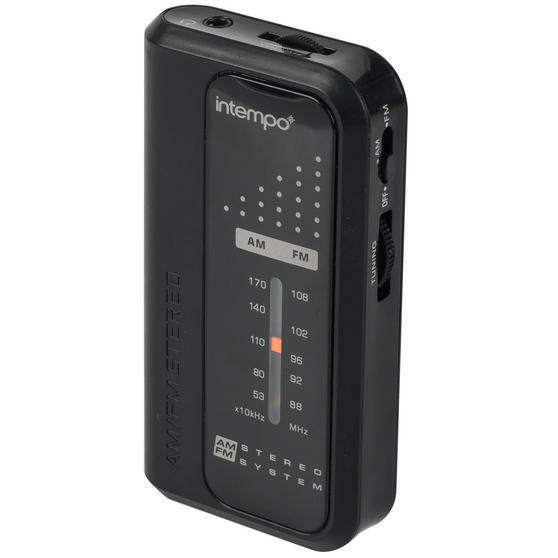 Tune in to all your favourite radio shows anywhere with this superb FM/AM pocket radio which is perfect for enjoying on the move. 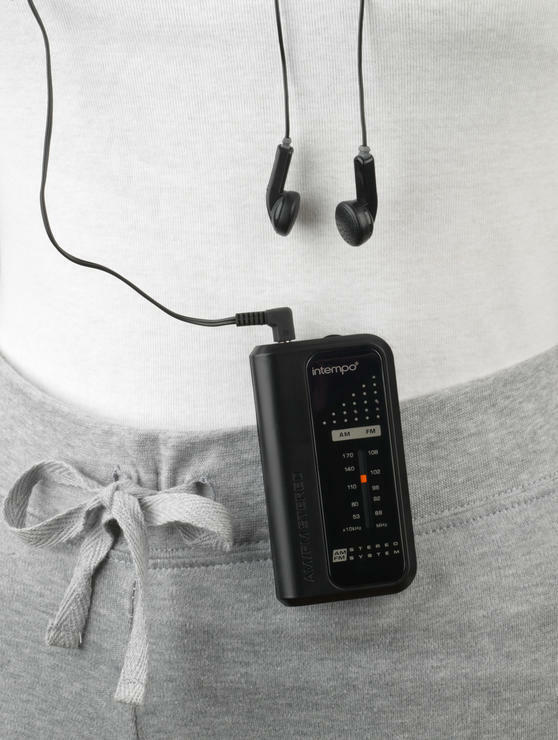 The compact radio comes with headphones and earbuds, providing crystal clear audio for a superior sound. Conveniently powered by batteries so you do not have to worry about regularly recharging the radio is simple to use, just pop your headphones in and select a station. 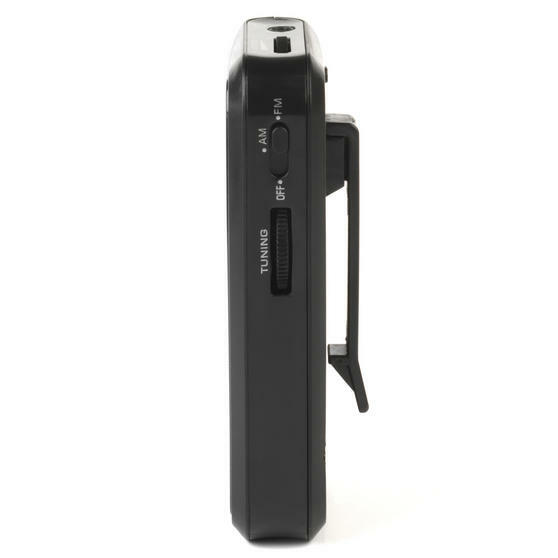 Featuring a clip on the back to securely attach to your clothing, this radio is easily portable. 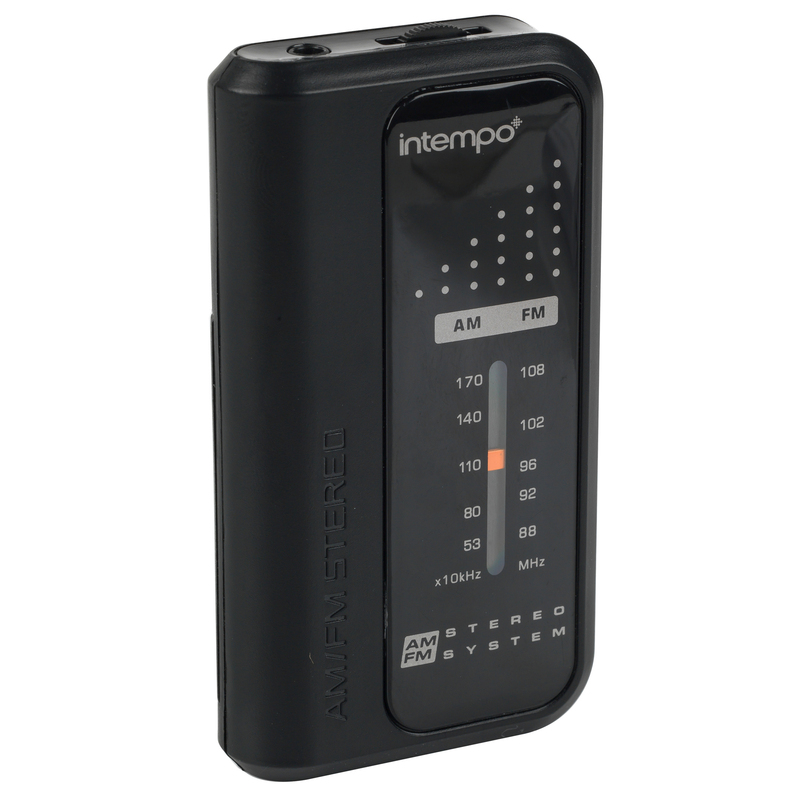 Listen to great audio on the go with this wonderful Intempo pocket radio which comes with a comfortable set of earphones. Compact and lightweight the radio is wonderfully portable, you can keep it in your pocket or use the clip to attach to your clothes. 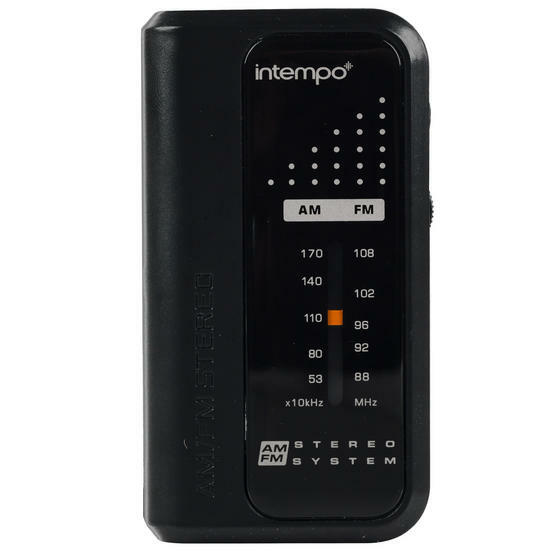 Featuring an integrated AM/FM tuner and a volume control dial, it is incredibly simple to use allowing you to find stations in seconds. 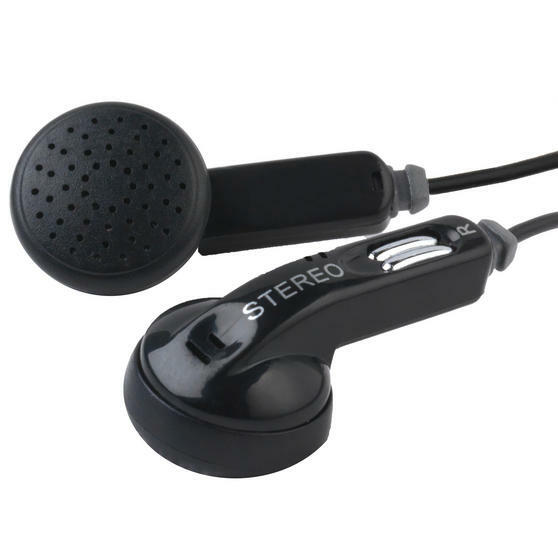 With stunning crystal clear sounding audio you can enjoy music, news and chat shows while travelling or during exercise. 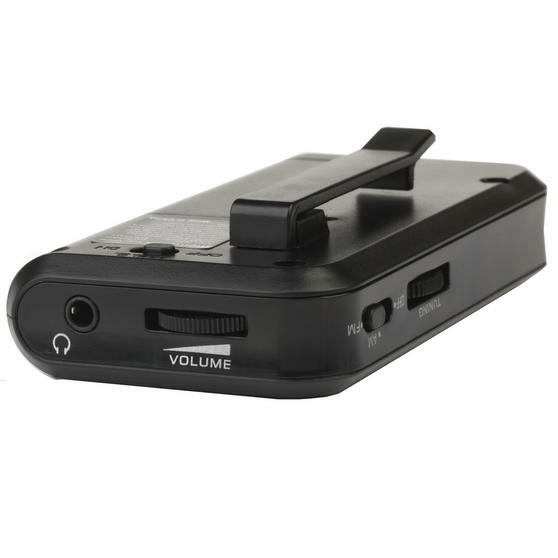 The radio is battery powered so you will not need to worry about recharging after use, you can enjoy radio without any hassle.